Sydney Harlequins RFC are always looking for new players of all standards. If you are interested in either playing, coaching, supporting, sponsoring or just getting involved, please contact Rohan, our Vice President on ph: 0402 207 128 or email: rohan.aalders@gmail.com, find us on Facebook or use the contact form at the bottom of this page. Home games and training are held at our home ground: Waterloo Oval, Sydney, NSW 2017 (corner of McEvoy St and Elizabeth St) – find a GoogleMaps link here. We hold training every Wednesday night from 6:30pm. For more information, please look on our Facebook page or recent Facebook updates/posts displayed at the bottom of this page. 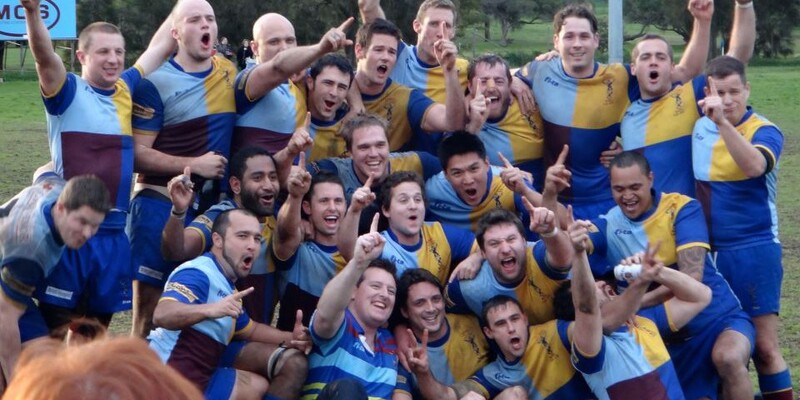 Quins currently field 3 teams in Division 4 of the NSW Suburban Rugby Union Championship. Also known as the Quins or Quinnies, we have enjoyed on-field success in recent years with premierships titles, minor premierships and a club championship. While being one of the nearest clubs to the Sydney CBD, Quins welcomes players from all countries and callings. We have our own ground, changing rooms and grandstand at the Waterloo Oval, just south of Surry Hills in central Sydney. The Quins enjoy an excellent social scene, with one of the best Ladies’ Days in NSW, an annual tour (recent expeditions have gone to the Gold Coast, Hobart and Cairns) and a club home pub for all post-game banter.